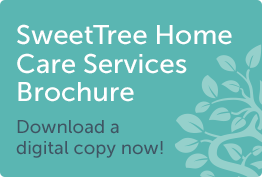 The specialist Learning Disabilities Service at SweetTree provide the highest quality care and support possible at home and in the community for people with mild, moderate and severe learning disabilities. The SweetTree team recognises that it is generally not the learning disability that prevents people from taking on new challenges or living more independently but rather restrictions in the community surrounding them. We design our support packages on personalities, likes, dislikes, goals and ambitions focusing on what people can do rather than potential obstacles. Our success is based on the ability to work creatively to find solutions to any challenges that arise. An important part of this is providing assistance to friends and relatives who care for people with learning disabilities, to ensure that they too maintain their quality of life. We support people with autism and differing behaviours applying the PROACT-SCIPr-UK® model, a holistic approach that is based on positive behaviour support. Positive behaviour support is a key part of the person-centred care we provide. The model aims to improve quality of life for both service users and their families by helping to reduce social barriers, enabling individuals to lead a more active and fulfilling life. We’re delighted to have formed such a great relationship with BILD and we are thrilled to have become a BILD Satellite Centre offering training and qualifications to our team. As a BILD satellite centre, we are able to design and develop training and assessment programmes which meet the needs of each service user and of our team.